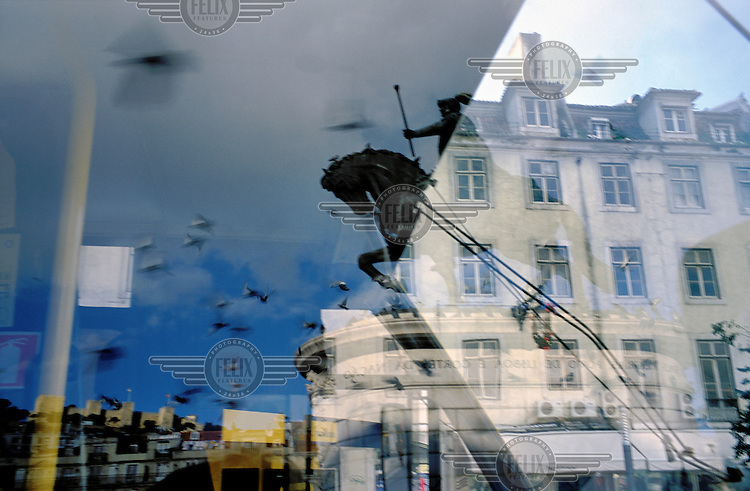 The equestrian statue, supposedly of Dom Pedro IV, but also rumoured to be that of Emperor Maximilian of Mexico is reflected in the window of a passing bus along the Praca da Figueira in the city centre. The Castelo da Sao Jorge is also visible in the bottom left. Restrictions: Not available in Japan.